First, open productivity Office software (Word, Excel, or PowerPoint). Then click on File and click on Options. 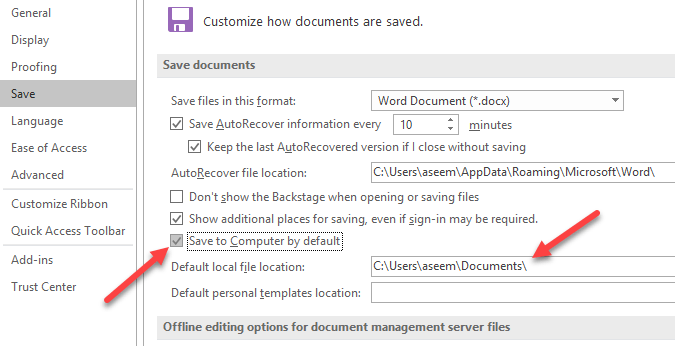 Now go ahead and click on Save in the left-hand pane and then check the box that says Save to Computer by default. OPTIONALLY: You can also change default local file location if you like in the box below the checkbox. 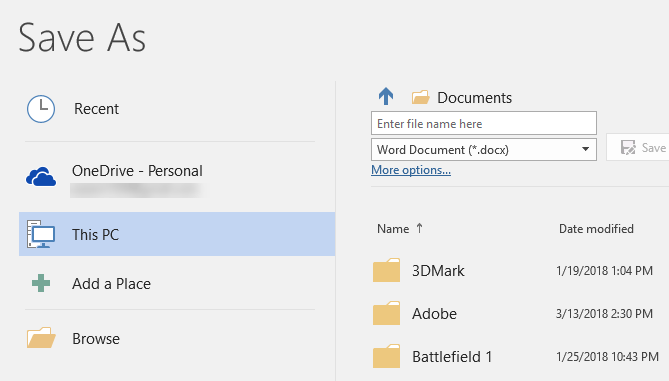 Now when you go to save a file, it will save it locally rather than to your OneDrive account. When you make that change in Word it automatically changes the default save location on all the other Office programs like Excel and PowerPoint, so you don’t have to change if for each individual application. If you need additional support please open a ticket.